The Existential Robotics Laboratory (ERL) is part of the Contextual Robotics Institute (CRI) at University of California, San Diego (UCSD). Develop multi-modal environment representations that unify metric, semantic, and temporal reasoning to reduce the gap between robot and human perception capabilities. Develop algorithms for autonomous information acquisition that enable robots to explore their environment and reduce uncertainty in their representation, leading to adaptive and resilient autonomous behavior in unknown or changing environments. Establish principles for distributed intelligence that allow collaborative inference and decision making in heterogeneous robot teams. We believe that enabling these capabilites will have tremendous impact on the safety, resilience, efficiency and versatility of autonomous robot systems and their utility in transportation, disaster response, environmental monitoring, agriculture, mining, construction, and security. ERL participated in the Contextual Robotics Forum. ERL was awarded a NSF grant to pursue environmental mapping and early fire detection using UAVs. ERL was awarded an ONR grant to develop unified perception-action representations for autonomous robots. ERL was awarded a NSF grant to develop navigation-specific environment models and enable safe autonomous navigation in unknown environments. 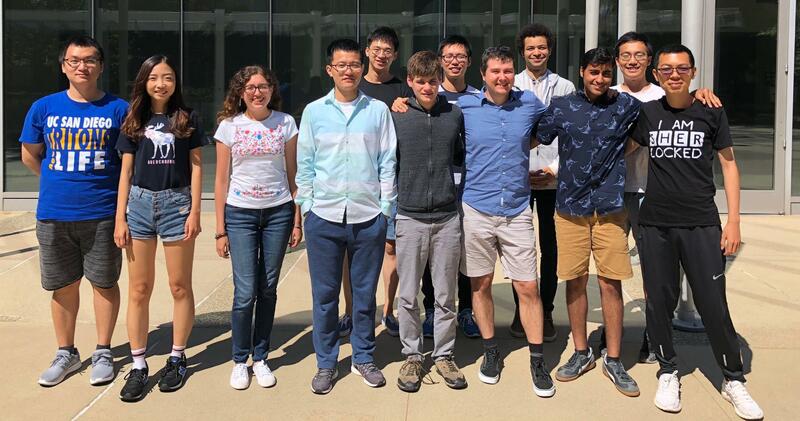 ERL was awarded an ARL grant to develop contextual perceptual representations and adaptive behaviors for uncertainty mitigation using autonomous robot. ERL participated in the Robotics Frontiers Symposium.